I’ll be honest: my Komplete Kontrol keyboard has been sitting on a shelf. But I believe that’s about to change in a big way. So how did it wind up on the shelf in the first place? Yes, this is one of the nicest-looking, nicest-feeling keyboards around. And yes, it works seamlessly with Native Instruments’ own instruments and effects – particularly in that it makes it easy to dial up presets and to map parameters to the encoders and display their values. The problem is, most of us don’t live in a world where we only use Komplete. Because Komplete Kontrol software didn’t originally support plug-ins, and because you couldn’t capture MIDI events from features like the arpeggiator and chords, it didn’t fit into our workflow. 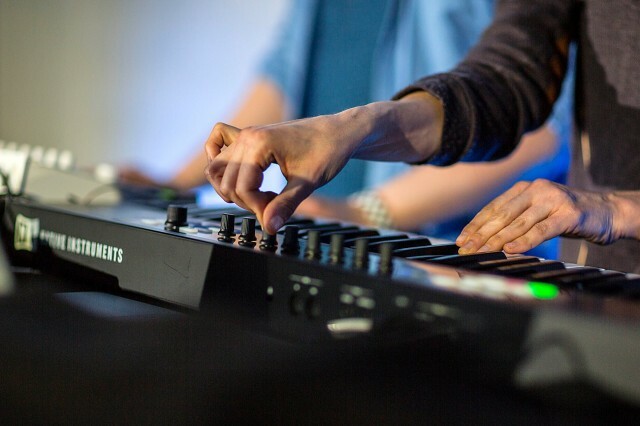 An updated version of Komplete Kontrol changes that experience – and in an event last night here in Frankfurt, the future of the keyboard looks like it will realize some of its original potential. 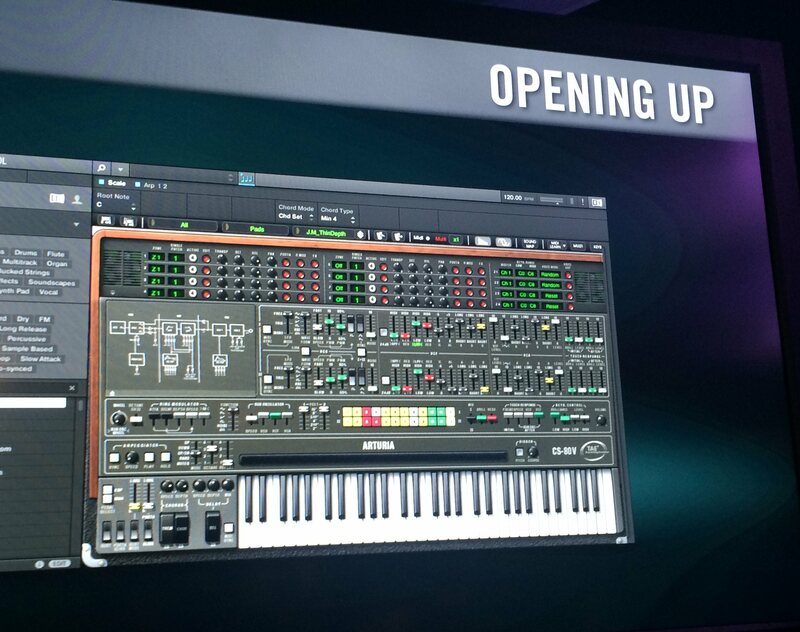 And now, you can use your own plug-ins inside Komplete Kontrol, for features like the keyboard’s color-coded splits. The coolest feature in the update is for the touch strips. In the first release of Komplete Kontrol, you could already use physics on the touch strip. With the “friction” setting, drag and release your finger, and a parameter can “bounce” up and down. (I first saw this feature on the original Lemur hardware.) It’s basically creating your own LFO with a gesture. Now, though, you can also optionally tempo-sync that – so it can sound rhythmic, not random. You’ll get most of this in a 1.1 update to the software in May. There’s improved preset management in the software, too, and more integrated control from the hardware, promise NI. I haven’t yet been able to evaluate what this means, but the claim is that onscreen you’ll be able to save your presets more easily, and offscreen you’ll be able to do more looking only at the hardware. No AU support yet; that’d obviously be welcome, though I’m hard pressed to think of a plug-in I use that doesn’t have both formats. The other major issue with Komplete Kontrol was that it wasn’t terribly useful if you didn’t own Komplete in the first place – because it lacked bundled software. 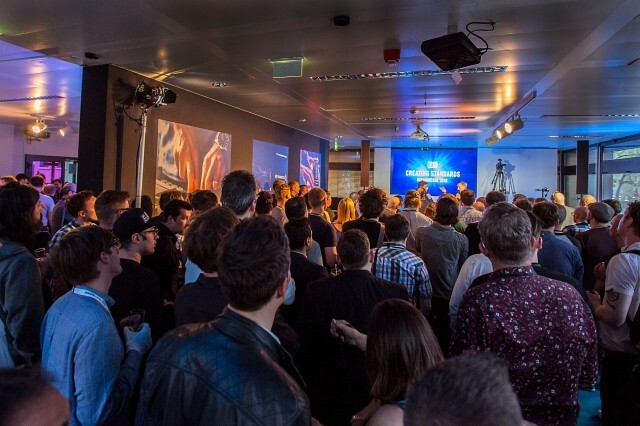 Now, you’ll get some software bundled free, in what’s called Komplete Select. You get Massive, the new piano The Gentleman, the Monark (which I think is hands-down the best-sounding Minimoog emulation apart from an actual Minimoog), and the acoustic/electric Drumlab. Massive alone should keep you plenty busy, so that’s welcome. And now there’s much-needed upgrade path pricing, too. Buried in the press release is the (unsurprising) revelation that more S-Series keyboards are coming. Hammer action seems a likely candidate to me, especially as NI are already using Fatar keybeds. But these are essentially expected, if welcome, updates. The bigger plan from NI seems to be making the hardware a platform for third-party development. Under the somewhat grandiose headline for the night “Creating Standards,” the basic idea is that plug-in makers will be able to include specific support for integrating with the hardware. 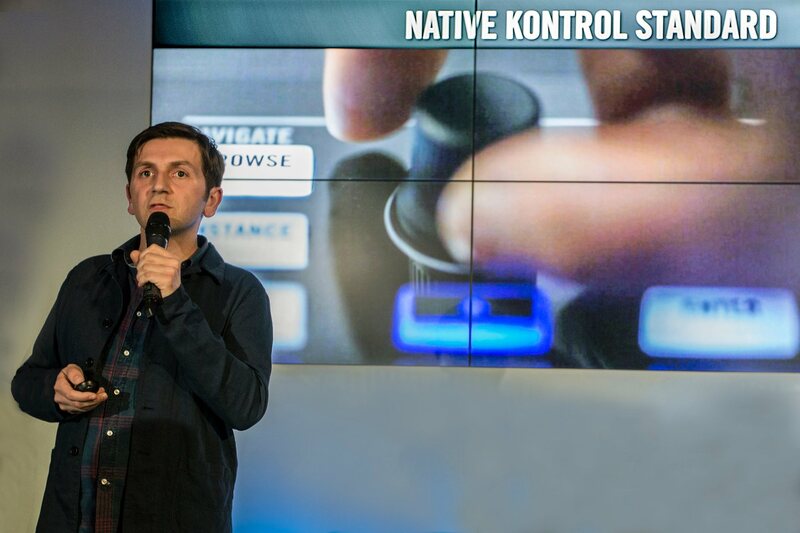 “Native Kontrol Standard” (NKS) will allow developers to customize support for the colored LEDs above the keys, parameters, unique behaviors for those touch strips, and so on. And, of course, it’ll let plug-in developers add tagging so their presets show up alongside NI’s. This isn’t accomplished via MIDI, so you’ll need to be a plug-in maker with access to NI’s developer tools to exploit those parameter controls. Those developers are granted access to what is essentially a simple API for the Komplete Kontrol host software (and, by extension, both the Browser and the hardware functions on the keyboard). This isn’t some new control protocol, and it isn’t a new plug-in format; it’s some kind of thin layer of description that plug-in developers add when they bundle their software for release. As before, this isn’t a keyboard for people who want something that stands alone with other hardware. Komplete Kontrol is only useful when connected to a computer. Nor does Native Kontrol open up the ability to create your own behaviors or mappings – at least not yet. But I do think this direction makes sense for what NI says they’re trying to do with this product. And it’s great to see that integration work with a range of tools (though we’ll have to see how quickly those developers ship). 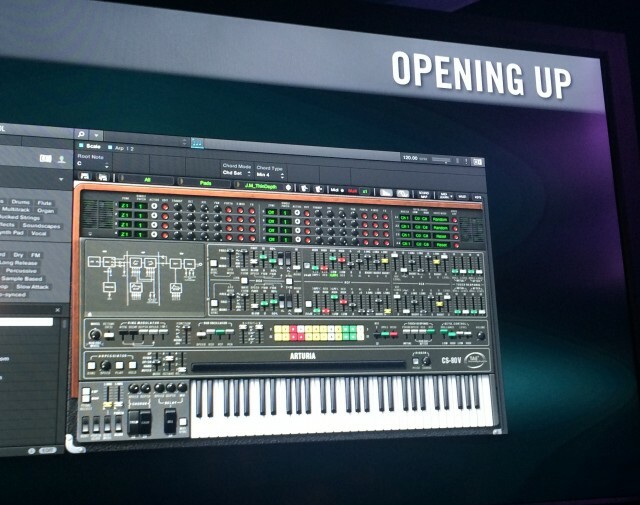 It also looks like it’ll be more plug-and-play than Akai’s approach of making all their mappings themselves – and Akai hasn’t shipped yet, so all bets are off until that happens. Don’t write off the keyboard as a MIDI controller, either. You could already create color-coded splits and read CCs and values clearly off the display – a trick few other keyboards can pull off. All in all, this seems a good direction. I don’t know if “standard” is the right word here; whether this keyboard is right for you depends on your needs and working style. 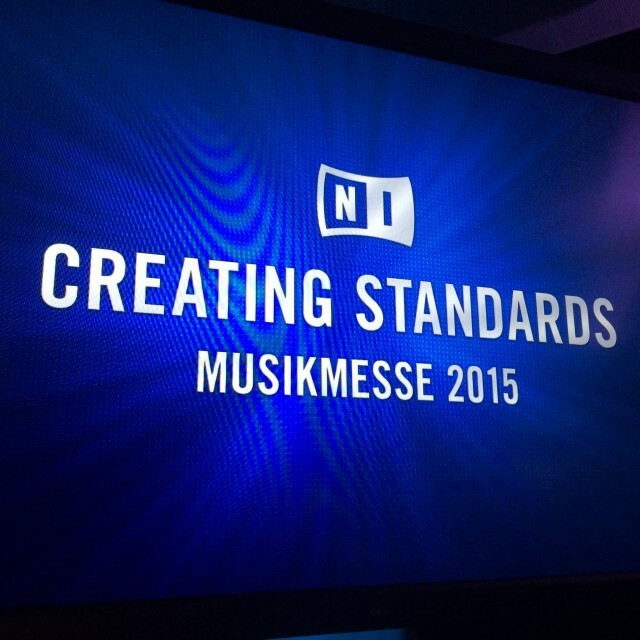 But NI’s S-Series is now a very effective tool for keyboardists wanting software integration. I’ll report back when that 1.1 update arrives – and, yes, it seems time to compare some of the other keyboard offerings on the market in terms of what delivers for you.